Brand Refresh of a business-to-business firm that sought to improve consistency and brand recognition. 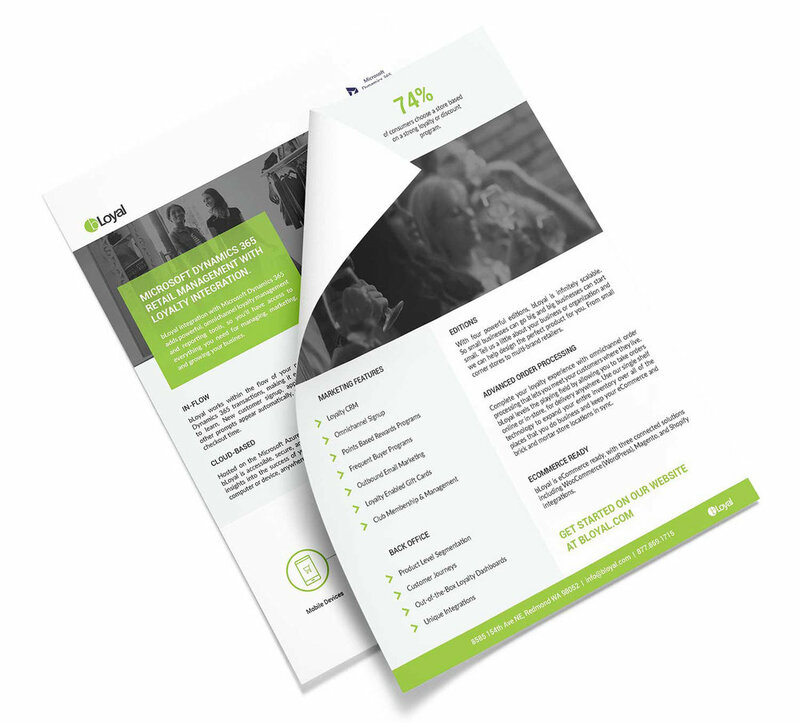 Comprehensive identity refresh for bLoyal, a business-to-business company which offers omnichannel loyalty and direct-to-consumer programs for organizations at all stages of growth. In 2016 the bLoyal brand identity had gone through multiple changes. A few designers had given that project a try, but it was never fully completed. bLoyal had a new logo, primary colors and typefaces, and a set of icons that were used to create the company website and to support marketing content. However, there were no specific rules to follow, thus none of the elements were used consistently and did not work well together to represent the brand. The task I faced was to collect the existent pieces and combine them to create a refreshed, modern brand identity that sets a tone and defines the brand personality. I also had to set rules about how the company would present itself on various platforms such as social media, educational content, email, and when communicating with clients. Businesses or organizations of any size that want to onboard an omnichannel loyalty and rewards program to attract new customers, strategically promote their product, and gain deep understanding and analytics of how their customers shop. bLoyal has to stand out among their competitors. bLoyal wants to sell their software but also wants to educate and support their clients on how to use all tool to their advantage and be successful. 1. Be passionate about the client's success. 2. Be the expert about customer loyalty and the best education resource about the subject matter. 3. Be results driven and trustworthy. Illustration has become a very common way for brands to show their audience what they stand for, to offer a more delightful experience, and explain difficult ideas. Illustration contain more emotion and are more engaging to the viewer. bLoyal’s service is very complex and while being a great tool for businesses, sometimes the functionality and terminology are hard for clients to understand. A lot of the published content is educational blogs that explain a Customer Loyalty topic in depth, or an infographic that uses visual examples to explain terms such as omnichannel loyalty, KPIs, path to purchase, Illustrations would be a great way to enrich the brand language and make complex content more user friendly and more approachable. bLoyal's new brand style guide communicates the company's design standards and gives a solid framework to designers, developers. and marketers. The new cohesive style helps establish a strong brand voice that resonates with the bLoyal audience, which is essential for building brand awareness. The brand was applied in all marketing, web, and sales collateral, as well as official company documents. bLoyal integrates with 12 checkout solutions. I worked on designing simple fliers that present information through text and graphics and are used by the sales team to give clients a simple overview of the bLoyal services. Since the services the company offers are very complex and clients often feel lost or do not know how to utilize the software to run their loyalty program. Using the bLoyal illustrations helped to produce some fun and informative infographics. Full Length Infographics on bLoyal's Pinterest page. 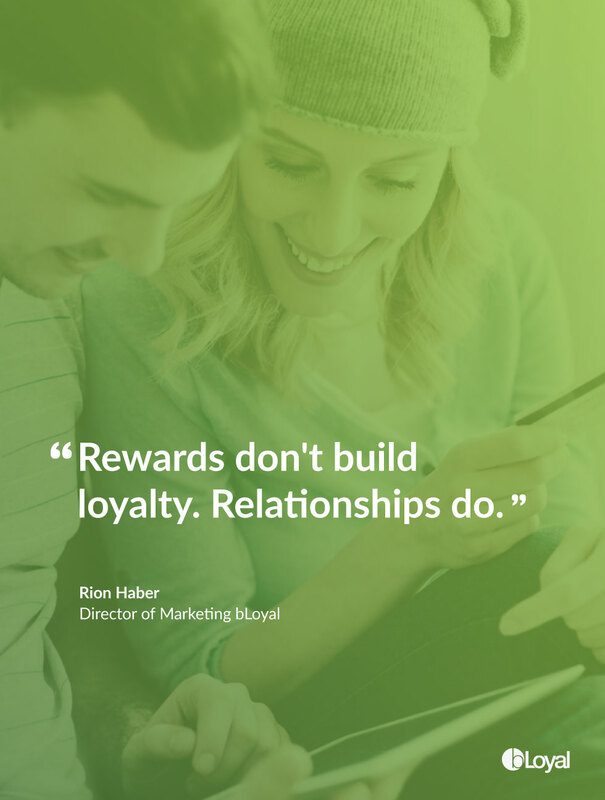 bLoyal posts inspirational images on their social media pages to educate and motivate clients about the importance and value of customer loyalty. Simple brand gradients combine with a selected quote to create a gray-and-green pattern along the page timeline. he brand refresh has been welcomed with very positive reactions from clients, who have complemented on the company's new style and professional presentation decks. Customers are looking forward to see the new branding applied throughout the company's web and Point of Sale interface, which is the next big step in the process of modernizing the brand and giving bLoyal a new image.